When it comes to puddings, the Victorians had an incredibly sweet tooth. Indeed, it could be said that the reason us Brits are so obsessed with our pies, puddings, cakes and creams, is because the Victorians just couldn’t have a dinner party without one. They were so important that many prolific authors of the time were female cooks, who gave advice to on how to make the perfect sponge and how to present it to guests. Take a look at this list of the best traditional puddings that you just have to try (you don't even have to cook them... why not cheat and shop for ready-mades? Just don't tell Mary Berry). See more of our favourite recipes on our food hub page. You can’t really have an article about Victorian desserts without this iconic sponge. Legend has it that the Queen herself would often crave a slice with her afternoon tea, and there is no reason that it shouldn’t be a staple of every British person’s diet. There’s a lot of speculation about where the name Charlotte came from for this pudding. It is basically strips of bread or cake packed into a mould with sliced apple, then filled with custard. It might be due to the fact that, in old English, charlyt means ‘a bowl full of custard’, but no one can seem to agree. Not the most PC of names now, but it was a long-time staple of school dinner halls the land over. The gypsy tart is a pastry case filled with sugar and evaporated milk, and then baked. It is so sweet that Jamie Oliver, on his mission to make our children’s diets healthier, has tried to make sure it will never again grace the school canteen. Think jelly, but white and milky. The Victorians favoured this unlikely dessert as a centrepiece, because of its ability to be coloured all manner of vibrant hues. If you’re looking for a show-stopping focal point for your table, you can’t go far wrong. Trifle has been around for so long that the Victorians can hardly be given all of the credit. However, they did make it the dessert we eat today by boiling down calves’ feet to make the jelly. It isn’t quite as gruesome as that now, and today the trifle is used as an impressive centrepiece at 1970s-style dinner parties! Not all puddings were reserved for the rich and extravagant. 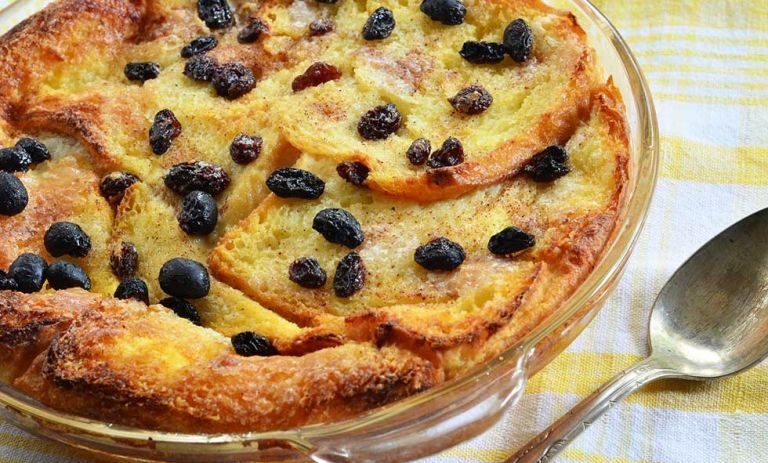 The bread and butter pudding, delicious as it is, was a cheap dish you could throw together on the fly – a wholesome dessert of bread, butter, milk and sultanas to warm you to the bones. Traditionally the Victorians used lemon custard or curd as a spread for bread and scones, rather than in any kind of dessert. It was only a matter of time before they did the reasonable thing and decided to wrap it in pastry to create a zingy custard tart that we can’t get enough of. One of the most comforting of British homemade desserts has to be rice pudding. It comes from the same tradition as bread and butter pudding – a cheap and easy sweet dish that can be cooked in a pot on the hob. The egg custard tart has long been considered a classic British dish, even before the Victorians got their hands on it. It differs from other custards, in that it was thickened using egg rather than the more popular corn-flour custard.